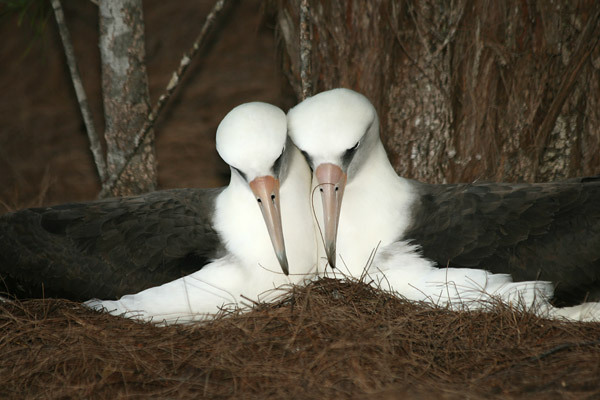 Albatross adolescents spend several years in courtship, then choose a mate when they are 8-9 years old. Mate for life sounds romantic—and indeed they make it so —but in reality means the equivalent of only a few days per year together. After long separations the birds enthusiastically reunite. Parents equally share all egg-sitting and chick-feeding duties.